Guy Nielson Co. is the company to call to assist with your high wear area in your facility. 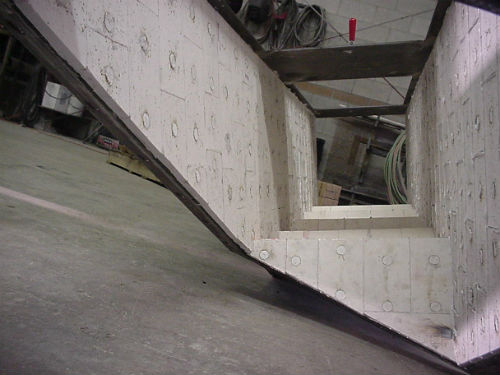 We have installed numerous linings in very difficult wear areas including dynamic classifiers, fluid beds, process cyclones, process chutes, process troughs, and dissolving tanks. Regardless of the process temperature, chemical application, or type of abrasion, we can assist your facility with a solution based strategy to optimize your process requirements.